On Aug 9, 2017, I copied the code and the content for boghop.com to sawv.org. boghop is hosted at Amazon Web Services. sawv is hosted at Digital Ocean. I used AWS for around one year. I wanted to test some aspects of AWS. I'll leave boghop.com up for a while, just in case. Since September 2001, I have created many websites that have hosted my content. The plan is to copy everything to one website. Hopefully, sawv.org will be that domain. 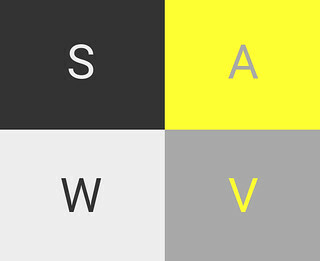 "Sawv" was a nickname that friends called me in grade school and high school. "JR" was/is a nickname that some family members and coworkers called me. Here's the "About" page that existed at boghop.com. Except for the obvious sections, the info below applies to sawv.org. I'd like to think of boghop as an E/N site. I bought this silly domain name in the summer of 2016. boghop means nothing. I simply wanted a short domain name, and smashing together two, short, unrelated, one-syllable words was one way of achieving this. I started posting at this domain name in September 2016. This site will host some of the notes and web postings that I have created elsewhere over the years. It will take a while to cull the desired subset of notes from the thousands of web postings that I have made since 2001. In August 2001, I installed a blogging tool called Greymatter on a free Web hosting site called Hypermart. This became my personal blogging setup. In 2003 or 2004, the Hypermart announced that it would no longer be free. I downloaded and saved my old blog postings. Some of my old web postings from the early aughts contain numerous spelling, punctuation, and grammar errors. The technical aspects of my writing improved over the years. In January 2003, I launched a small, locally-focused message board called ToledoTalk.com. It's still functioning. The majority of my web postings have been made at Toledo Talk, but in recent years, I have created smaller, niche blog sites for myself. In the mid-aughts, I did something similar by using Blogger and creating multiple blogspot sites. But boghop.com is my notes site and not a blog site, since I won't order the homepage of links by creation date. Many of the postings that I copy here will not be time-sensitive. A post about baking bread will be updated like a wiki or a knowledge management post. A post about an event that I attended won't be updated. Both types of content will exist here. I'm not concerned about the order of how the posts will be copied (created) here. I don't need to copy my posts from 2001 first. I can start with 2016 or whenever. I'll probably create my own taxonomy or categories around common themes, such as food, outdoors, sports, etc. I'm using my Wren static site generator to manage this site. Wren creates HTML files. I can create and update through the browser, but no dynamic content will be generated when a reader views a web post. Static HTML will be served. The only dynamic aspect of the site that readers will see will be from Wren's own search function. More tech info.